Looking for deals in Cairo? Located across the street from the Pyramids & the Great Sphinx Entrance Gate, Giza Pyramids Inn features air-conditioned rooms with free WiFi throughout the property. Friendly staff, view of the pyramids, unlimited free water, hot drinks and shisha. Plenty of supplies in the room- tea, coffee, water, toilet paper, shampoo and body wash. Located an 8-minute walk from Tahrir Square, Ambiance Cairo Hotel in Cairo features a terrace. How clean the room was and the staff. Located in the Giza district of Cairo, Atlantis pyramids inn is a few steps from Great Sphinx and a 12-minute walk from Giza Pyramids. With a terrace, the property also has a bar. This hotel is more like a family - Eissa and his lovely wife welcome you with open arms and treat you as a family member. The value for money is exceptional - you are right next door to the Sphinx and Pyramids. It is clean, tidy and incredibly quiet for its prime location - I slept so well. The food is great too and plentiful - more than we could eat. Thankyou for letting me share your little bit of paradise - I am hoping to be back soon. Sofitel El Gezirah is a 5-star luxury hotel with a private promenade along the Nile. Room had an amazing view of the Nile River! 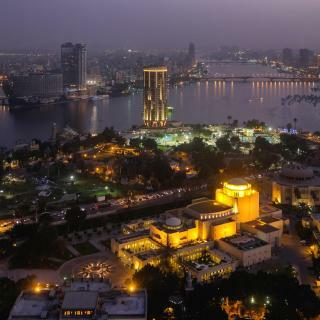 Only 1969 feet from the Opera House, Sheraton Cairo Hotel & Casino offers rooms with private balconies overlooking the banks of the River Nile. Excellent breakfast and food options. Located in Cairo, in front of pyramids of The Giza pyramids, just 2 minutes walk from sound and light show entrance and only 5 minutes from sphinx. A beautifull view of Pyramides, good staff, good breakfast. A 10-minute walk from the Nile River embankment, Safir hotel in the center of Cairo offers luxurious rooms with balconies. It features an outdoor pool, gym and free Wi-Fi in public areas. The service and location were excellent. HOTEL VELVET 1928 is located in Cairo, a 15-minute walk from Tahrir Square. The property is around 1.1 miles from Khan Al Khalili and 1.5 miles from Al-Azhar Mosque. The velvet hotel is an unusual presentation in the low price range for central Cairo. Located in Cairo, Hayat pyramids view hotel features accommodations with private terraces. Located in the Giza district, the property provides guests with access to a restaurant. Location is excellent and staff is very cooperative. Especially Mr. Located in the heart of Heliopolis, the hotel has 132 guest rooms and suites, an outdoor pool and barbecue facilities. The hotel also has a children's playground and sun terrace. I staid at this property 2 different times in 1 week. Located in Cairo, 2.6 miles from Tahrir Square, Galaxy Royal Suites Hotel has a shared lounge. The property is around 2.7 miles from Mosque of Ibn Tulun and 3 miles from Cairo Tower. Excellent hotel, great staff, spacious and clean rooms with great view. Located in Cairo, a 19-minute walk from Tahrir Square, Australian Deluxe Hotel provides rooms with air conditioning and free WiFi. The hotel was very cozy and homey for me. The staff members were very hospitable and easy-going. Set in Cairo, 1640 ft from Tahrir Square, Grand Palace Hotel offers rooms with air conditioning. - The place is great! the pictures on booking don’t show how awesome and comfortable this place is. Located in Cairo Downtown, Berlin Hotel offers air-conditioned rooms with private balconies.Nearby shopping restaurants and coffee shops are within a walking distance. Guests have access to free... Location was great and staff was very friendly and attentive. Featuring a shared lounge and free WiFi, Pension Roma is located in Cairo, an 18-minute walk from Tahrir Square. Built in 1946, the property is within 1.3 miles of Khan Al Khalili. Good location, nice staff, good value for the money. Located 3.1 miles from Tahrir Square, Ciao Hotel Cairo provides rooms with air conditioning in Cairo. As usually been there ,The Staff are great .Mr. Located in Downtown Cairo, Osiris Hotel is just a 1640 feet walk from the Egyptian Museum. It offers free Wi-Fi in public areas and a roof-top terrace that offers views of downtown Cairo. The place is well maintained and clean. Service by staff, Wafa, was excellent. She is very helpful. Which hotels in Cairo have nice views? Pyramids village inn, Atlantis pyramids inn, and Galaxy Royal Suites Hotel got great room view-related reviews from travelers in Cairo. How much is a hotel in Cairo for this weekend? The average price per night for a 3-star hotel in Cairo this weekend is $106 or, for a 4-star hotel, $202. Looking for something even fancier? 5-star hotels in Cairo for this weekend cost around $336 per night, on average (based on Booking.com prices). What are the best hotels in Cairo near Cairo International Airport? 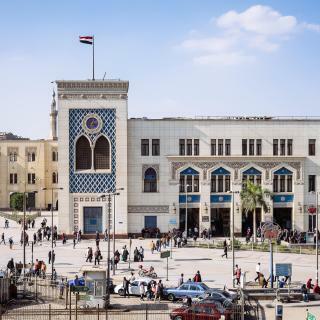 Travelers who stayed in Cairo near Cairo International Airport (CAI) have said good things about Le Meridien Cairo Airport, Novotel Cairo Airport, and Le Passage Cairo Hotel & Casino. Which hotels in Cairo are good for families? Many families visiting Cairo loved staying at Atlantis pyramids inn, Berlin Hotel, and Tahrir Plaza Suites. Which hotels in Cairo are good for couples? These hotels in Cairo are highly rated by couples: Atlantis pyramids inn, Giza Pyramids Inn, and Four Seasons Cairo At The First Residence. Which hotels are the best ones to stay at in Cairo? Giza Pyramids Inn, Nile Meridien Hotel, and Atlantis pyramids inn are some of the popular hotels in Cairo. Which neighborhood is the best one to stay at in Cairo? 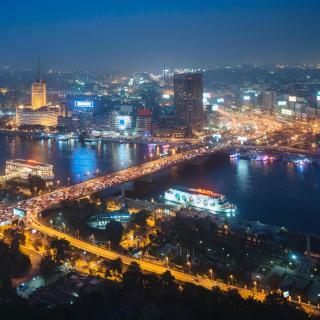 Heliopolis, Zamalek, and Dokki are popular with other travelers visiting Cairo. What are the best hotels in Cairo near City Stars? Some of the best hotels in Cairo near City Stars include Staybridge Suites & Apartments - Citystars, Intercontinental Cairo Citystars and Holiday Inn Citystars. How much does it cost to stay in a hotel in Cairo? On average, 3-star hotels in Cairo cost $45 per night, and 4-star hotels in Cairo are $80 per night. If you're looking for something really special, a 5-star hotel in Cairo can be found for $170 per night, on average (based on Booking.com prices). Which hotels in Cairo offer an especially good breakfast? For hotels in Cairo that serve highly-rated breakfasts, try Nile Meridien Hotel, Sunshine Pyramids View, and Giza Pyramids Inn. How much is a hotel in Cairo for tonight? On average, it costs $52 per night to book a 3-star hotel in Cairo for tonight. You'll pay around $93 if you choose to stay in a 4-star hotel tonight, while a 5-star hotel in Cairo will cost around $172, on average (based on Booking.com prices). Born of an ancient civilization, Cairo is a vast metropolis centered around the Nile. Its sheer scale can feel overwhelming (especially when flying over Cairo Airport), so plan ahead. An obvious starting point are the Giza Pyramids. Although the pharaohs are long gone, the grandeur of their burial pyramids, the Sphinx and Solar Boat are testament to their ambition. The city’s Egyptian Museum houses a dazzling display of ancient Egyptian artifacts, including finds from Tutankhamen's tomb in Luxor. Around the corner is Tahrir, a huge square and focal point of the 2011 Egyptian Revolution. East is Islamic Cairo, home to the 9th-century Ibn Tulun Mosque, Al-Azhar Mosque (site of the world’s oldest university), and the Khan el-Khalili souk (remember to haggle). 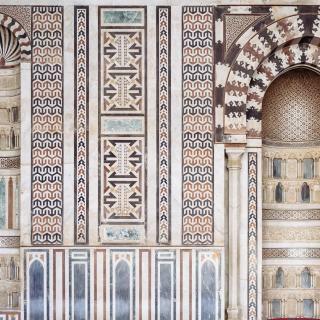 The Citadel, with its elegant Mohammed Ali Pasha Mosque, sits on a hill offering far-reaching city views. If you need a break from cultural tours, take a Nile cruise by felucca, spot wildlife in Wadi Digla desert park or visit Egypt’s top theme parks: Dream Park and Magic Land, where you can tour Egyptian TV studios. 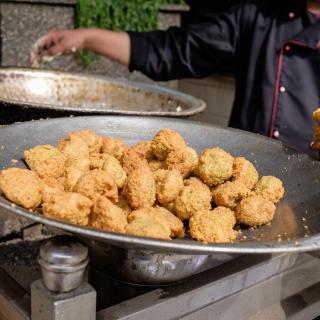 Before heading to your Cairo accommodations, sample the local cuisine – the falafel and fuul (bean paste) are delicious. 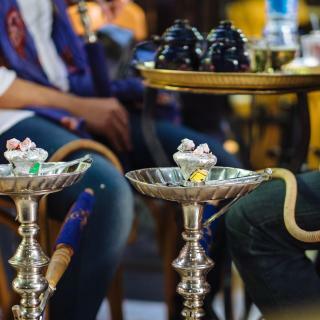 Coffee is a staple and there are hundreds of shisha bars, while major Cairo hotels have bars serving alcohol. Busy town, ancient l. Not going to list all the places u need to visit but I enjoyed going to Khan Elkhalili (Al Hussein) shopping and eating there. You have to eat at El Dahhan in Al Huseein, try their Kababs (its the best Kabab ever!). check out the Khan cafe as well, not so crowded they play nice music w live musicians great drinks (non alcoholic) and a nice menu, U can dine there if u want. Getting around was best easy and cheap w Uber. If you have to buy phone service to be able to connect get something at the airport anything BUT Vodafone! try Itesalat, or Orange.. anything but that VODAFONE!! I moved around using Uber, it was great there. People are overall friendly and hospitable.. This was priceless! Cairo is metropolitan easy to get lost but with google map you can find your self around. Doing business in Egypt is difficult, very rare to find true honest Egyptians doing business with. Unfortunately this the truth soon they see you as foreigner “you are money trap”. The most honest of Egyptians Copt (Christians) but they are only 15% of the population. The reason of my opinion is by experience I grow up in Egypt till my teenage. I travel over 20 countries (Americas, Asia and Africa) my beloved country is Egypt unfortunately the Egyptians have honest issues. I am professional architect and Muslim faith. Was have holiday in Cairo in “Eco inn” hotel. Was have holiday in Cairo in “Eco inn” hotel. It’s a bit difficult to find the entrance to hotel ,because I arrived late at night , but the owner of hotel Khaled everytime online for you in “what’s up” or local number or also number of hotel , so he meet me and show the way. If you need they can organize for you transfer from airport and back. And actually any destination you need. The hotel is very close to Museum of Cairo and also to Tahrir Square and metro, what is very convenient for travel and explore the city. The room is decorated with wood and natural material, looks so simple and beautiful, no need nothing extra.The owner and stuff very friendly and helpful, family atmosphere. Everytime when I need help they help me immediately. If I’ll be back to Cairo , I’ll be stay in “eco inn” again . This is an older Hotel. It was clean comfortable and well located. We had a magnificent view of the Khufu Pyramid on the Giza plateau. Moreover, the staff were extraordinary. The lady Wala at the front desk went above and beyond in all our requests. However, all the staff were friendly sincere and engaging. This is our first introduction to Egypt and although are used to to 5 star polished predictable service. Myself and my and my partner were knocked back by the friendliness and warmth of these people. It's so refreshing! The hotel is clean and the situation is perfect. The staff is helpful. They have a free pick up service from the airport. Even though the entrance of the building is very strange, when you arrive to your room it is clean and very comfortable. After spending some days in another city we decided to come back to the same hotel. We will recommended to everyone. It is in the city center with lots of restaurant options. And we use Uber to move around the city, cheap and quick. Thanks for everything paradise boutique hotel. I loved the breakfast buffet was rich and changed daily, the location was great for us as we wanted to be with locals rather than tourist and it's walkable to many places and taxis were cheaper in this area and almost no beggar compared to turist areas. The staff were very helpful at both the lobby and breakfast area. I got the hotel at bargain price 400 $ for 4 nights including tax and breakfast. Uber is 9 $ from hotel to cairo international airport. This hotel is absolute luxury unlike many others in Egypt which are advertised as such. The room was immaculate with an amazing view of the Nile and a very short walk to the Cairo Museum and downtown. The bed was super comfortable with high quality linen. Everything you would expect from the Ritz-Carlton. If you want to stay in a nice hotel, pay a little extra and stay at the Ritz-Carlton for a true 5 Star Hotel unlike many others in this country. Perfect location! I was able to walk to many of the local sights from the hotel, very good value for what you get. Very clean room with a 5-Star style bathroom! Very friendly staff, and an incredibly helpful owner! The best part for me was being able to organise the tours from reception for cheaper than what I found online! The driver I had was very nice and negotiated all the prices for things I bought. Highly recommend! Everything! The hotel is very new. Located at a very peaceful area, surrounded by eateries and supermarkets. Very safe to walk around. Staffs are excellent & helpful. They even upgraded us to the junior suite for free. The room was spacious, clean, modern looking and exceeded our expectation. Way better than the 5 star cruise we had in Egypt 😅 overall, this is the best hotel we have ever been thus far in Egypt. The staff are very friendly and welcoming, we were offered free drinks when we arrived. The pyramids view is marvellous, the rooms are clean and better than expected. You will get what you see in the pictures. The continental breakfast was fresh and delicious and the view of the pyramids added a special taste and experience. After trying many hotels in Egypt, this by far is one of the best. Location is great! Wonderful services and super helpful staff. Alibaba is an amazing driver to pick me up from the airport and first Egyptian I met has given me the best impression of the country. The staff at the hotel is simply the most friendly and warm hearted ones, they've helped to resolve a mistake happened with my friend successfully. Nice and simple hotel. Near to the airport. Well dressed staff. All the facilities around you. About six restaurants and bars in hotel, some of them closed at 4:00am. Nice summing pool. Also you can ride horses. Usually the live music in restaurant. I like the business center in this hotel. The staff very helpful. The location is perfect. It has the best view from rooftop. Service was excellent, special mention to Sami (the waiter), he was always smiling and happy. The hotel also provided free airport pick up. I highly recommend Ahmed Mohammed if you need a tour guide. The roof with the amazing food and view for breakfast and dinner. Included breakfast. Family orientation, pyramids view from balcony of room. Proximity to pyramids complex, and restaurants, Egyptian themed highlights throughout hotel. Rooms are very clean. Very good variety of food in its restaurants. Very good cooperative hospitality staff. Remonda, Petter and Hanan are ones of the best hotels staffs I ever meet in all of my worldwide trips. Perfect location close to main shopping area and restaurants. Excellent services it deserves to be 5 star hotel. The staff are so kind and cooperative. Very clean and nice, staff was friendly and keen, better than most 4 or 5 stars hotels in Egypt.